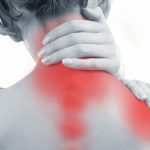 The management of chronic pain is one of the most widespread and difficult challenges facing health care professionals. Most sufferers believe there is a physical cause for their problem even though sometimes the cause isn’t found. They tend to regard any psychological or spiritual approach with scepticism. Actually, it is probably true that such practices cannot get rid of pain. However there is evidence that some non-physical interventions can lower the subjective distress associated with the hurting body. When medicine or surgery fail, what then can alleviate the suffering? Why should we believe that psychological or spiritual procedures might help with chronic pain? The potential value of distraction from pain is not difficult to accept. This may be part of the reason why relaxation training has been widely used. The relaxation procedure may distract attention away from very unpleasant sensations as well as induce less tension in the body. One theory is that, where possible, once the sufferer is engaged in normal daily activities, attention to the pain sensations will be reduced and hence pain intensity will diminish. Jon Kabat-Zinn developed an 8 week outpatient programme, later known as Mindfulness Based Stress Reduction (MBSR), in particular to help people with persistent pain. Not to eliminate pain but to learn a new way of relating to pain. To reduce the considerable degree of stress with which most people usually respond to pain. Mindfulness is all about being more aware of the present moment with considerate attention. Teachers encourage us to adopt an attitude of loving kindness and acceptance to our own experience without self-judgment. They say this requires a mental discipline which takes quite a bit of practice to achieve. A problem for chronic pain sufferers is the second arrow, the extra hurt inflicted by the usual negative attitude to pain. The mind is normally active with all sorts of mind chatter, automatic thoughts, feelings, and images. In response to pain, it is beset with angry ideas, escapist fantasies, and restless and frustrating thoughts. The mind it seems has a mind of its own! With all this going on its hard to stay with the painful sensations, accepting them, letting them be, exploring them without resistance, seeing them for what they are rather than what one is imagining them to be. From their spirituality practices, Christians know about something similar to mindfulness. This they variously call ‘silent prayer’, ‘contemplative prayer’, or the desert tradition. In this one is fully present to deeper intuitions, spiritual perceptions, and consciousness of compassion. Tim Stead, Christian minister and mindfulness teacher, believes that mindfulness makes space for the God of compassion to come to us without our being caught up in the thoughts about, and emotions resulting, from our pain. In line with the Gospel story about the boat and fearful disciples, peace in the middle of the horror of the storm is something one can experience in Christ. He has pointed out that this means letting go of natural feelings of worry, anger, fear, or resentment, that often accompany pain. Trusting in the divine healing power that is beyond our own ability to reduce pain. Remembering that the historical Jesus Christ – said to be the embodiment of the origin of transcendent compassion – also has been through severe pain, when he experienced the agony of the cross. And the wisdom to know the difference (mindfulness is the tool that can help do this). Previous Previous post: Joy – What brings it to our lives? Next Next post: Bereavement – What to say?